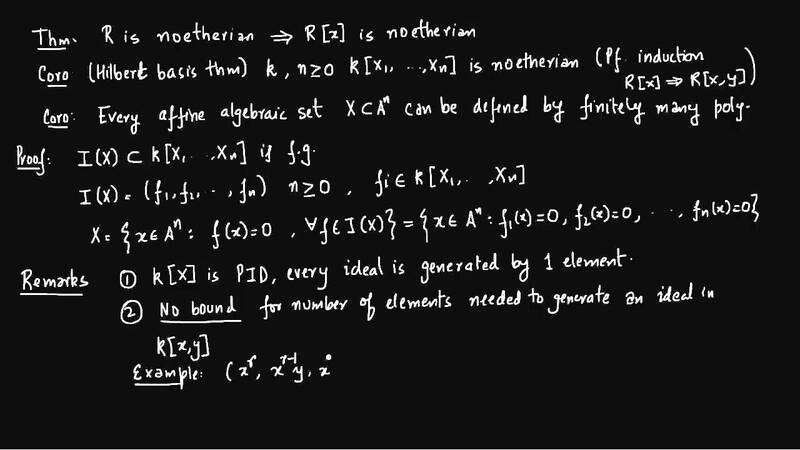 Noetherian rings and the Hilbert basis theorem. From now on we will assume that all rings, unless otherwise stated, are commutative and have an identity element 1 = 0. Let R, R two rings. A map φ : R → R will be called a homomorphism if: • φ(x + y) = φ(x) + φ(y) for every x, y ∈ R. • φ(xy) = φ(x)φ(y) for every x, y ∈ R.